Considered side by side, Fulton’s 2017 collection dealing with the illness and death of his mother, Equal Night, and his latest collection, Circulation, look a little at first like the masks of Sock and Buskin. The former is strongly elegiac whereas the latter, like the title suggests, is about creative blood and playfulness beginning to flow once again after a period of funereal pallor. 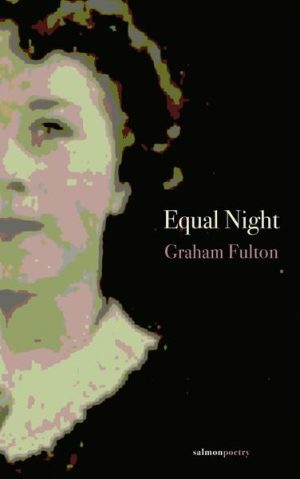 This is not to say that Equal Night is exclusively tragic and Circulation wholly comic – Fulton is too much of a seasoned professional (with some thirty-plus publication credits to his name) to allow his collections to strike one monotonous note. In the car on the road to the cemetery gate. We’ve picked you up from the undertake shop. the colour of Heart of Midlothian’s strip. A numbered sticker’s been slapped on the lid. you’d laugh if you could see yourself. Your face in the mirror is vagued by steam. You rub a small hole to check you’re still there. on the brand new rug that you loved. and it was never ours to destroy or create. from my evil poetry empire. which just happen to be mine.